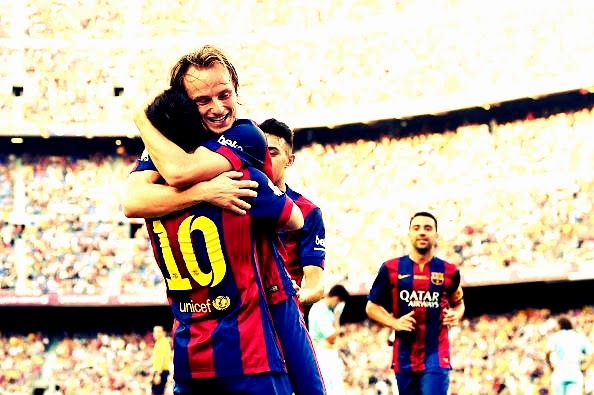 Ivan Rakitic continued his goal scoring streak with a brilliant headed goal against Granada. 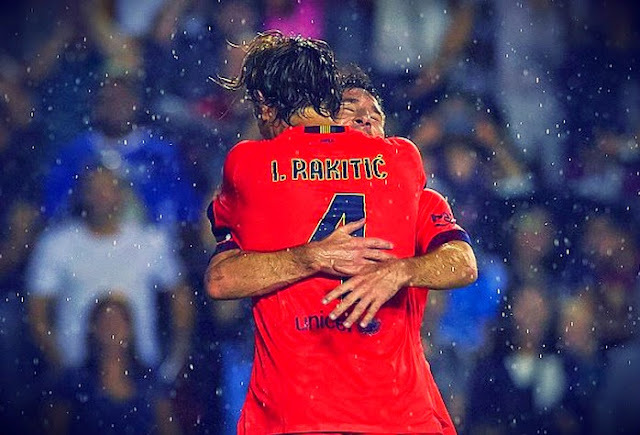 Ivan Rakitic is fast proving to be one of the best signing in recent times. 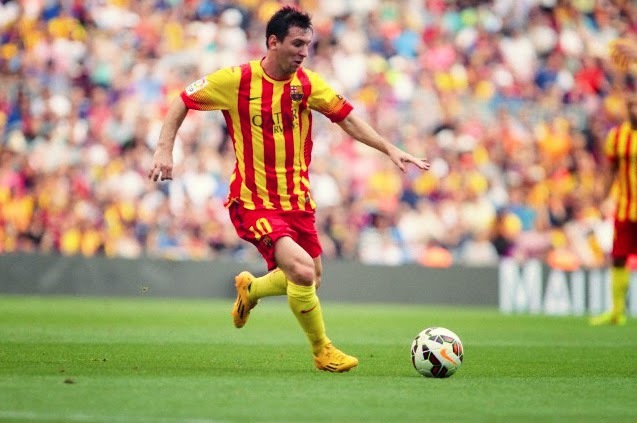 Pictures from FC Barcelona's 6-0 thrashing against Granada. This was a match of all of us to savour. Barcelona Football Club got back to winning ways and back to the top of league with a brilliant 6-0 victory against Granada. After a series of away games, Barca players really cherished the chance of playing at home. There was no let off from them and it was really hard on a brave Granada side who actually did quite well. The scoreline did justice to the intensity shown by the Barca side, which was a far cry from the boring performance against Malaga. Once again Lionel Messi was pivotal in Barca victory - scoring twice and almost playing a hand in almost all other goals. 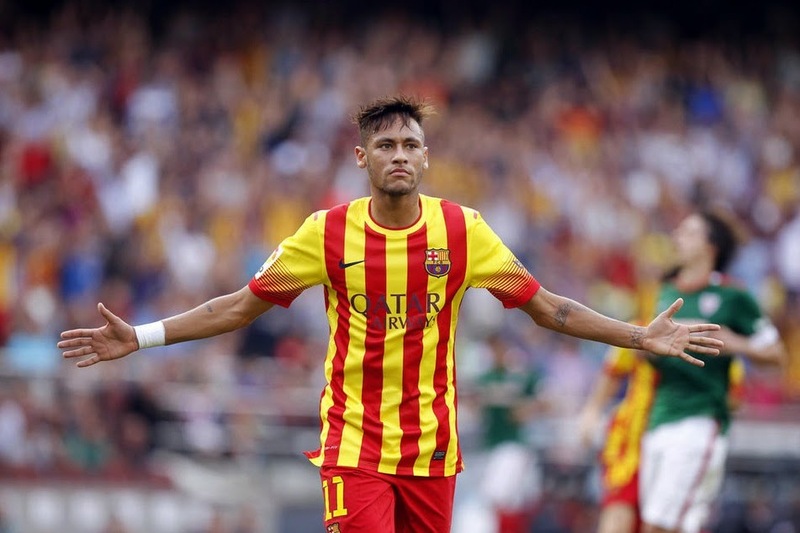 The biggest beneficiary of his creativity was Neymar, who scored his first hat-trick for the season. Luis Enrique did some shuffling to his starting eleven from their last start against Malaga. The biggest change was the introduction of Xavi Hernandez in place of Iniesta. In defense there was a complete change with Matthieu, Alves, Mascherano and Adriano replacing Pique, Doughlas, Alba and Bartra. 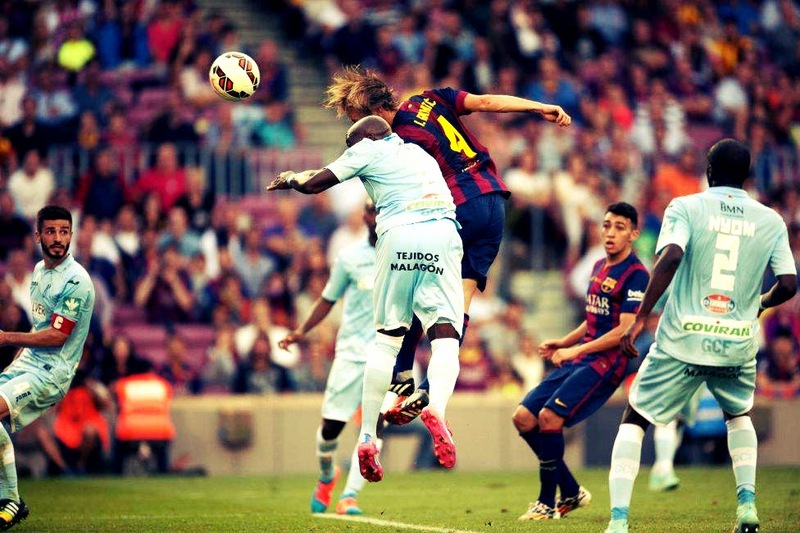 Once agains Bravo kept his starting place and one was left to wonder when Ter Stegan will make his debut. THe midfield had Xavi, Busquets and Ivan Rakitic. 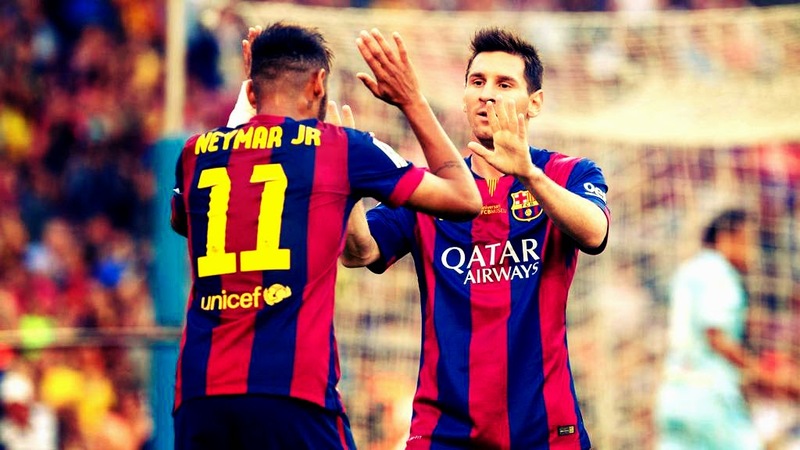 Munir, Neymar and Messi formed the front trio. Malaga put an end to Barca's Winning streak but still they couldn't stop the Catalans from keeping the clean sheet. Here are some of the best pictures from the encounter. FC Barcelona's perfect start to the season ended yesternight against Malaga when they were held onto a goalless draw at the Estadio La Rosaleda. In a match where chances were at a premium, Barca struggled to make anything out of their possessional advantage. They have yet to concede a goal this season but is currently tied at the top with Sevilla. Sevilla moved to second place with a win against Real Sociedad courtesy of a goal from Barca loanee Deulofeu. Pictures from Barca’s 5-0 thrashing of Levante away from home. 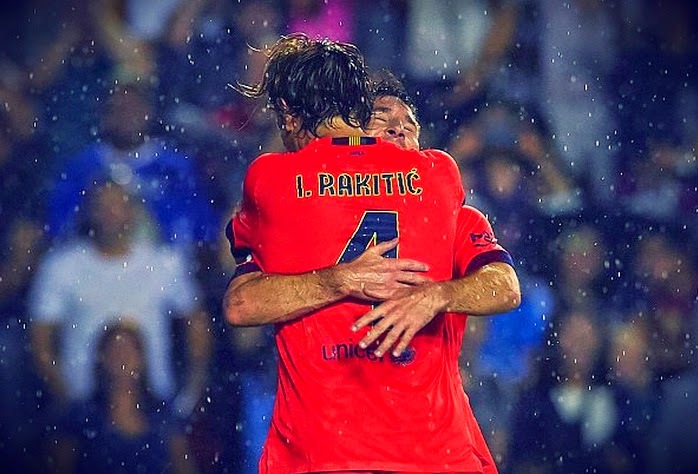 Two of the most brilliant moments from Ivan Rakitic in yesternight's match against Levante. FC Barcelona continued their winning start to the League with a 5-0 thrashing of Levante away from home. With the arch-rivals Real Madrid winning 8-2 against Deportivo on Saturday, it was essential for Luis Enrique's boys to sent a clear signal. And they did more than that. The team is yet to concede a goal this season and Luis Enrique would be proud of the boy's hardwork. 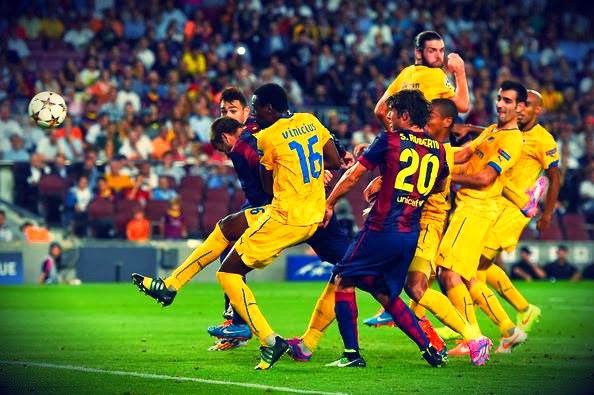 Pictures from Barca's 1-0 victory against APOEL from last night at the Camp Nou. 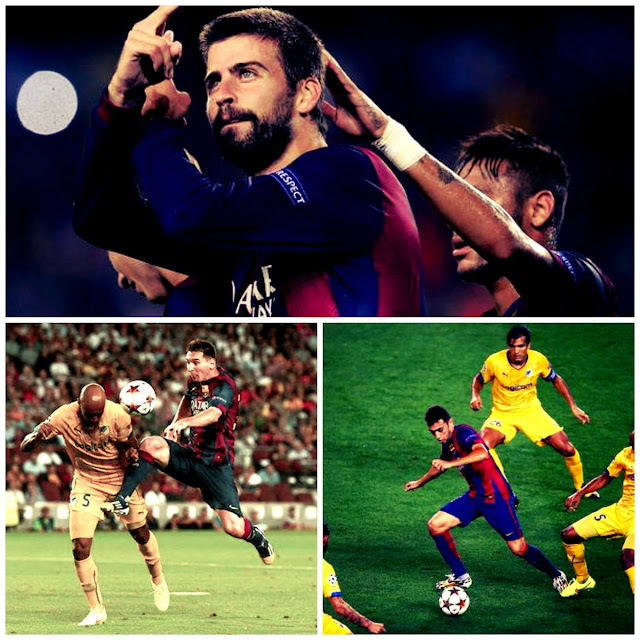 Pique scored the only but decisive goal to start FC Barcelona's UEFA CHampions League 20145-15 Campaign. Inspite of all the strike force at their disposal, Barca had to rely on their star defenders heading capability to see off Champions League minnows APOEL at the Camp Nou. Once again FC Barcelona dominated the match from the start but failed to capitalize on that. 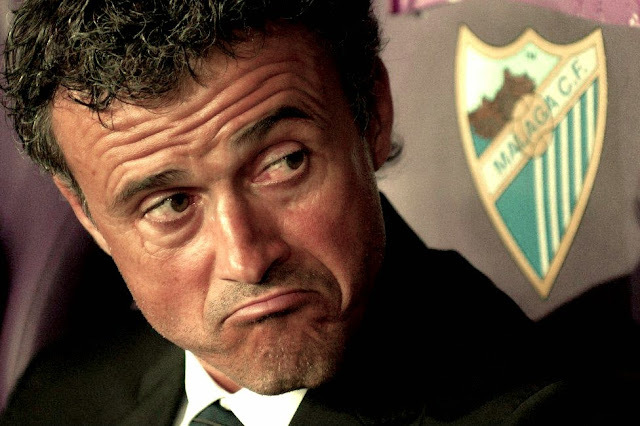 That's quite a headache for Luis Enrique as this seems to happen every game now. 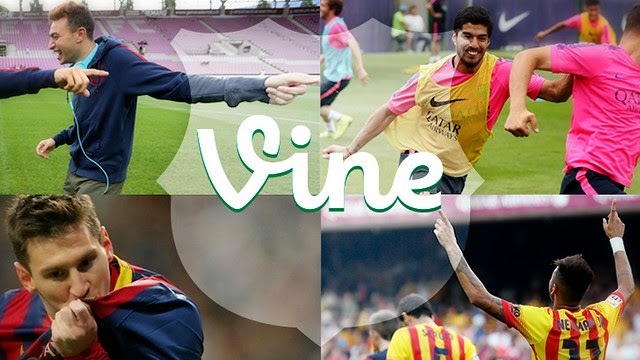 Full highlights of FC Barcelona's 2-0 victory against Atletic Bilbao at the Camp Nou. 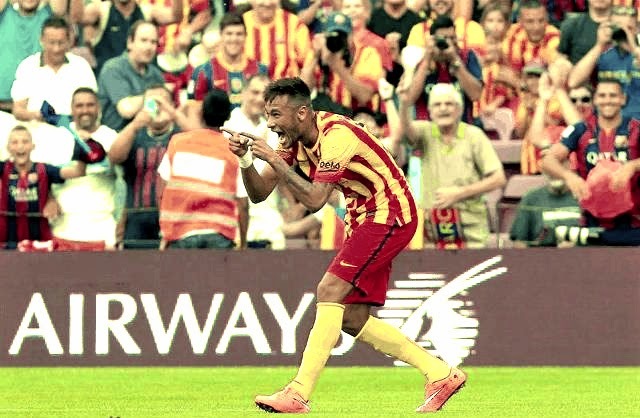 GIF animation of Neymar's brilliant two finishes against Atletci Bilbao. Honestly these two has been two of the simplest finishes he had in recent times. But in a match where our forward players struggled to finish off a huge number of chances these two goals were precious. FC Barcelona consolidated there position on the top of the La Liga standing with a 2-0 victory against Ateltic Bilbao at the Camp Nou. Ina match Barca dominated throughout, they struggled to opened the scoring for so long. In the end it was the substitute Neymar who opened the scoring followed it up with one more to make the night comfortable in terms of scoreline. There wasn't much surprise in the line-up fielded by Luis Enrique for this important clash in La Liga. Munir was once again rewarded by a start with Messia and Pedro, thanks to all his good work so far. 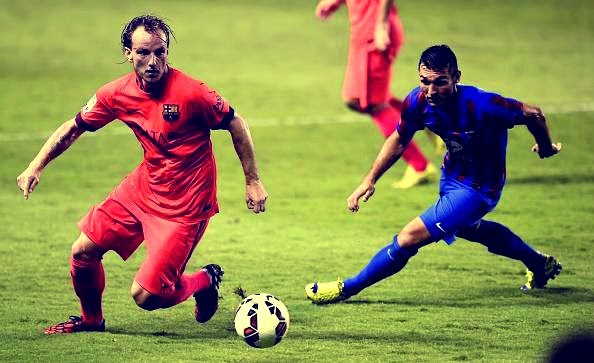 The midfield saw what we all expected with Busquets, Rakitic and Iniesta lining up. Once again Xavi was not given the start position. 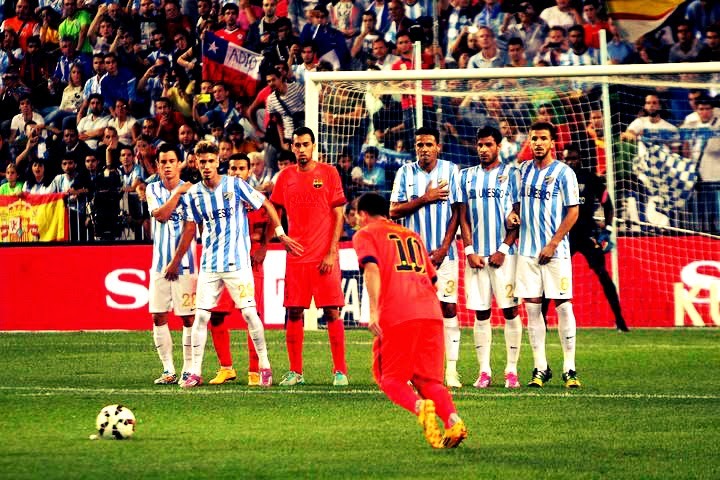 Mascherano, Mathieu, Montoya and Alba formed the defense in front of Bravo. Incidentally there were rumours that Bravo rushed back from International duty earlier than expected due to the intense competition for the position at Barca! Truth or Not it worked!